I've been very busy preparing for my spring shows. The Toronto Knitters' Frolic went well, and I have the Milton Farm Craft Show this weekend, the 2nd and 3rd. The Milton show will be my first opportunity to show off some of my new jewellery designs. One thing I've been working on is making necklaces with beautiful Jasper stones. 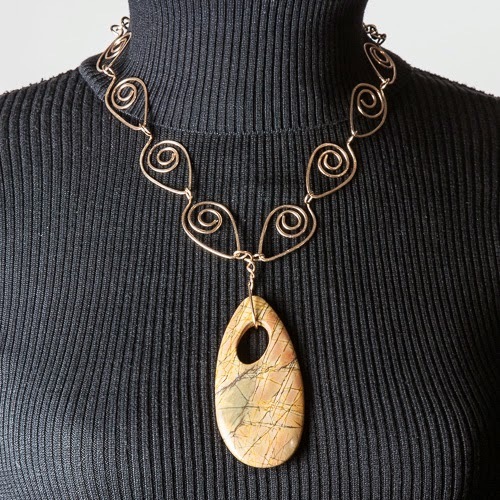 The necklace above features a big Jasper stone and handmade bronze wire links. 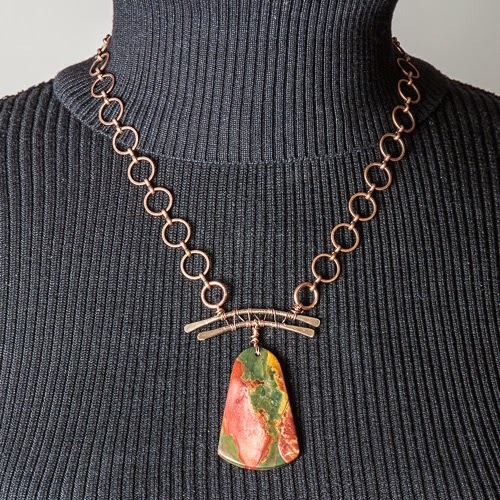 This necklace features a beautifully colored stone, bronze bars woven together with copper wire and an antiqued copper chain.